During last week's webinar, there were several questions that I did not have a chance to answer so I wanted to follow-up by answering those questions here. I also wanted to provide links to previous webinar recordings as many people had asked where to find them. The first question I wanted to address was something I provided an answer to but an audience member provided a follow-up that I wanted to comment on after having a chance to do some research. 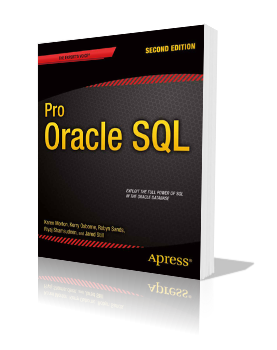 Q: Is there any way to change the execution plan of an already running SQL? There are some articles on Internet that indicate that possibility by adding DBMS_RLS.ADD_POLICY which will call procedure that is using literals that will force hard parse. Audience member follow-up: There is an article about using dbms_sqldiag_internal on optimizer blog about changing execution plan of an existing query on the fly. My answer was that I didn't know of any way to change the execution plan of a query "on the fly" so I first wanted to clarify my understanding of the question. "On the fly" to me means that the questioner wanted to know if the execution plan could be changed while it was executing. My response to this was "no...not that I know of". There are several ways to influence/change the execution plan of a query after it has completed, but while it is executing, I do not know of any way to cause a plan change that would affect the query while it executes. The original questioner mentioned the use of DBMS_RLS.ADD_POLICY and I don't think that would do what was requested. 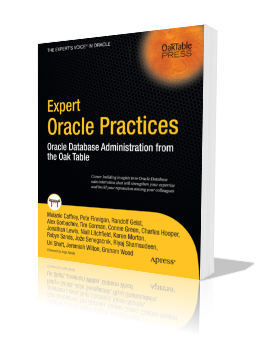 That package/proc is used for Virtual Private Database and typically is called to provide the dynamic predicate needed to properly service VPD queries. The follow-up regarding dbms_sqldiag_internal also does not provide a way to change the execution plan "on the fly" but does offer a way to change the execution plan via a SQL Patch where you could add a hint, for example, that could change the plan the next time that same SQL was executed. So, I'll stick by my original answer and say that I do not know of any way to change the execution plan for a SQL while it is currently executing. If anyone out there does know of a way to do so, I'd really like to hear from you. Q: Is the plan changing when the running node from clustered environment is evicted and the execution is failed over to another node? A: On this one, I'll give the default answer of "it depends" as a starting point, but typically, the execution plan should not change. However, there is always a possibility the plan might change. So, I'll err on the side of caution and say that typically, the plan wouldn't change, but there is always a possibility. 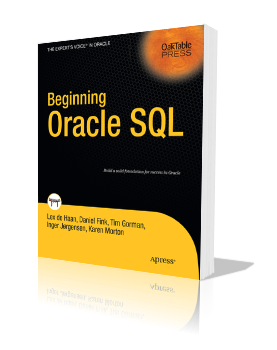 Q: Question on cardinality feedback-if child cursor is generated due to cardinality feedback for a given sql, will that new cursor be shared between users assuming that users are executing the same sql via application? A: Yes, a child cursor generated due to cardinality feedback can be shared/used by other users executing the same SQL. The point of cardinality feedback is to be able to adjust row estimates derived in a plan so that they are more accurate. The new child cursor containing the updated cardinality estimates should then take precedence and be used. Q: Will reordering the table with respect to index help the CLUF (clustering factor) to be calculated correctly? Can you explain about it please? A: Yes...and No. If you had an index on order_date (along with several other indexes on several other columns), and you reordered the table to store it in sorted order by order_date, the CLUF for that one index should certainly improve. However, what about all the other indexes on all the other columns? What happens to the index CLUF for those? The CLUF of those indexes would most likely be impacted as well causing some to get "worse". Remember, CLUF is used to help weight the cost of using the index. But a table can only be physically stored in one order. The table data sort order can match one index order but it can't perfectly match the order of numerous indexes at the same time. So, the bottom-line is that you typically shouldn't reorder a table to try and get a better CLUF. You will likely adversely affect many more things that you fix in the long run. A: I'll answer this by saying that Oracle, particularly for the latest releases, recommends collecting statistics on dictionary objects (those owned by SYS) regularly as is evidenced by the fact that the automatic stats collection job includes a collection of these objects. So, if you have the automatic job enabled, you will be getting stats collections on these objects if/when needed. There are specific procedures available for collecting dictionary stats (e.g. GATHER_FIXED_OBJECT_STATS, GATHER_DICTIONARY_STATS) and so I'd be more apt to use those than coming up with my own "home grown" method as you've shown here. However, since I am not familiar with your environment, then I can't say positively if your choice is "good" or "bad". I'd just encourage you to use defaults unless you have evidence you need something else that works better for your particular database application environment. Q: Can there be a negative impact on database performance of gathering stats for currently missing or null stats? A: Gathering stats can have multiple impacts. First, there is the impact of the collection itself as it must use resources to complete. Second, there is the impact of how new statistics may affect the optimizer's plan choices. Plans could change based on the new statistics that cause performance to improve or decline. Finally, if you have *never* had stats on certain columns/objects, then don't just rush off and collect stats without thoroughly testing your application to discover the impacts. Ultimately, you won't know until you collect and test. Remember that you now have the option of collecting stats without publishing them (i.e. pending stats), so you can actually collect stats and do some specific testing with those stats before you apply them across the board. Q: Where do i check the column level stats? A: Column stats can be found in the DBA_TAB_COL_STATISTICS view. I have a set of scripts I use to view all the various stats for a specific object and you can download those scripts here.